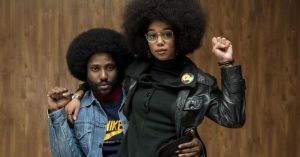 BlacKkKlansman draws a shockingly tangible parallel between America's racist past and the present. One of a few Blackkklansman movie posters. Spike Lee’s film BlacKkKlansman brilliantly touches on the true story of the first African-American cop in Colorado Springs, Ron Stallworth, who infiltrated the Ku Klux Klan (KKK) white supremacist group in the late 1970s. 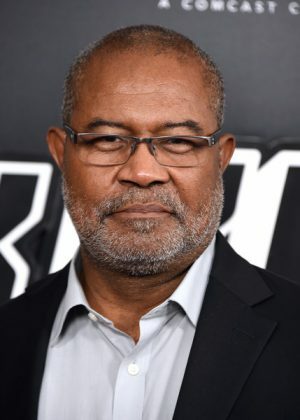 As a director, Lee has continuously tackled societal problems in his filmworks (including Malcolm X, Do the Right Thing, Chi-Raq, and many more), and BlacKkKlansman is no exception. The movie reveals African Americans’ struggle in a predominantly racist setting and gives insight into the twisted minds of the KKK. After becoming the first African-American cop in Colorado Springs, Stallworth made an appointment with one of the Klan members. According to Stallworth in an interview with Business Insider, he contacted the Klan through an ad in the “classified section of the newspaper.” Ron then teamed up with his partner, Flip Zimmerman, to pose as “Ron Stallworth” for an investigation of the Klan members in Colorado Springs. Stallworth would speak with the Klan members on the phone, and Zimmerman would be undercover and meet in person with the members. Flip befriended the Klan members that were in the city and later was officially initiated into the Klan, still under the guise of “Ron Stallworth” who continued to make plans over the phone. Zimmerman did so well undercover that the Klan members wanted him to become their leader towards the end of Stallworth’s and Zimmerman’s investigation. Together, Stallworth and Zimmerman prevented a number of the Klan’s violent outbursts, including three scheduled three cross burnings. The real Ron Stallworth poses at the New York movie premiere of BlacKkKlansman. 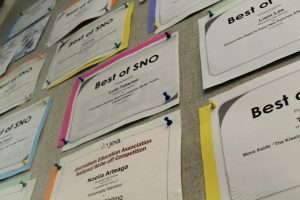 Ron Stallworth also had extensive conversations over the phone with David Duke, the Grand Wizard of the Ku Klux Klan at the time; Stallworth even had his Klan certificate card signed by Duke. Duke has since served as a Republican state representative for Louisiana advocated for Trump, praising his service as president. In the last few minutes of the film, Lee thrusts the audience into present day and reveals the chilling truth that America has not abolished racism and that actions with racist and malicious nature are prevalent today. The audience is taken through an upsetting montage of accounts including the Charlottesville car attack on August 12, 2017 and videos of white supremacists that chanted Nazi slogans and carried tiki torches the same night. President Trump’s press conference following the events placed the white supremacists protesters and anti-racism protesters on the same level of accountability for the violent outcomes. 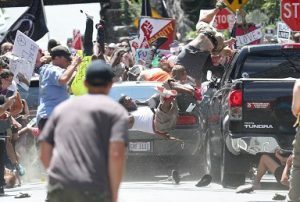 A car rams into a group of people protesting against the Unite the Right rally in Charlottesville, Virginia. The driver was charged with second degree murder after his attack killed one person and injured 19 others. BlacKkKlansman undoubtedly leaves the audience with much to ponder about America’s future and how the country as a whole can take steps to destroy any racist tendencies.